Despite signs of a slowing house sales market and new rules that could make it difficult for some people to get mortgages, the six-month trend of housing starts in Canada is near a 10-year high. In November, the seasonally adjusted annualized rate of housing starts across Canada was 252,184 units — up from 222,695 units in October. 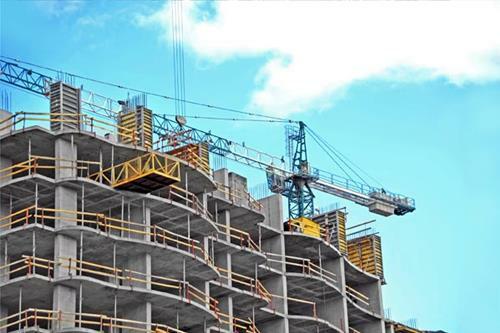 CMHC says condo units are driving the rapid pace, especially in Ontario. "Housing construction has remained resilient this year despite the 'one-two punch' of regulatory measures aimed at cooling housing demand and rising mortgage rates. Ultimately, a healthy economic backdrop and firm population growth have provided support to homebuilding activity nationally," TD economist Rishi Sondhi said in a note to clients. The seasonally adjusted annual rate of starts for Toronto starts surged to 45,208 while Vancouver's pulled back to around 31,863. Bob Dugan, CMHC's chief economist, said evidence of overbuilding in Toronto is low "due to the decreasing inventory of completed and unabsorbed multiple units and strong demand." Recent real estate sales in the Greater Toronto Area have fallen year-over-year since the province introduced a collection of policies to cool the market but sales of condos have been stronger than sales of detached homes. There were also month-over-month increases in building in the Atlantic and Prairie regions, but declines in Quebec and British Columbia, CMHC said. In Alberta, housing starts have surged again, reflecting a recovering economy, from a rate of 16,805 in January to 32,000 in November. Most economists believe the trend won't last, as building permit applications slowed in October and there are signs of slowing home sales in hot markets. "We still think moderation in home sales next year, amid tightening mortgage regulations and rising interest rates, will translate into slower homebuilding activity. But given resilience in the sector this year, we have revised up our 2018 starts forecast to 195k from 185k previously" said Josh Nye at RBC.